You can buy with confidence at Premier Auto Imports in Temple Hills and Waldorf Maryland as we offer the BEST USED CARS in Maryland! Experience the Temple Hills & Waldorf Maryland Car Sales Difference – Why Pay More when you can Pay Less! The Used Car Temple Hills & Waldorf Maryland Advantage adds up to more than great savings on a top quality vehicle. It also means an enjoyable purchase experience and terrific customer service long after the sale. We hand select the finest vehicles we sell. We also work hard to find the best available lease returns, new car trades, and specialty vehicles. We are proud to offer you an amazing selection of the highest quality nearly new vehicles in Maryland! Check us out here on our web site, or visit us in person, either way you, will not be disappointed! Premier Auto Imports has an “A+” rating with the Better Business Bureau, the best rating a business can have! We Offer The Same Vehicles As Other Used Car Dealers … But For Less! 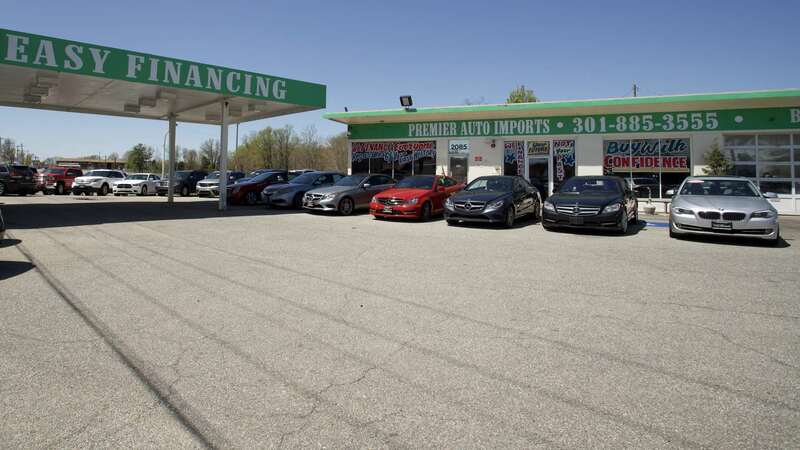 We obtain our inventory from the same Manufacturer/Financial Sales, Program Vehicles, Auctions and Leasing Companies that other dealers do, but the difference is that Premier Auto Imports in Temple Hills & Waldorf Maryland doesn’t have the big overhead that they do. That means that we can sell that same vehicle to you for you for less and give you a better warranty than they do! Our Philosophy is quite simple. You will save thousands of dollars buying a Used Car from Premier Auto Imports quality pre-owned vehicle versus buying brand new. We give you the price of the car up front, so there’s no haggling. Everyone gets a fair price and you don’t have to spend hours negotiating for it. Yes, that’s right, if you have an 800 credit score or a 400 credit score, Premier Auto Imports in Temple Hills or Waldorf Maryland handles all credit situations! We have bank and credit union financing as low as 1.49% APR as well as the best second and third chance financing options anywhere in Maryland! Even if you’ve been told no by the other dealerships, come by and see us … we love saying YES ! Premier Auto Imports is your No Credit/Bad Credit/Good Credit Auto Loan specialists! With a good job and down payment, regardless of your credit situation, we WILL help get you into a vehicle today with our GUARANTEED CREDIT APPROVAL financing program! Large Low Mile Used Vehicle Inventory, with Many under $10,000! With our large selection, you’re sure to find a car that suits your needs and fits your budget! You won’t have to drive all over town to find the vehicle you need. We offer quality used cars from the top car brands—from Acura to Volvo. We sell in volume affording us discount pricing which enables us to pass the savings on to you. Our technicians put every vehicle through a rigorous Certified Quality Inspection, checking more than 70 points to meet our high quality standards before being offered for sale. We’re committed to offering safe and reliable cars and we thoroughly inspect and recondition every used car we sell, so you get a car that doesn’t look or feel used. Vehicles not meeting our standards are immediately rejected.